At London Honda, we are very proud to offer Honda Canada’s Honda Plus extended warranty program. Let one of our Financial Services team review all the Honda Plus options with you. 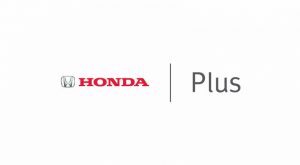 Then simply select the level of coverage options for the type of protection you need and sit back and relax knowing that Honda Plus Extended owner comfort is designed, administered and backed by Honda Canada Inc. Whether your vehicle is purchased or leased, you can choose the coverage that best suits your needs. And Roadside Assistance is included with your Honda Plus giving you peace of mind 24 hours a day, 7 days a week while travelling in Canada or the USA. For all the details on coverage and pricing, please contact our Financial Services team today. We’ll be happy to show you how affordable peace-of-mind driving can be.